We are committed to providing a comprehensive range of services to our clients. We aim to provide turnkey solutions to meet all of your needs from start to finish of your project. We are highly regarded as providing consistent, reliable and quality products and services to our customers. We aim to exceed our customer’ expectations and needs; achieving customer satisfaction. We achieve this through having a trusted and transparent process with our clients. We have a dedicated and experienced team of employees and subcontractors who work collaboratively with our clients. NT Link works on an integrated approach, utilising all areas to provide turnkey solutions and a project management system to get you through your entire project from the beginning to end. Whether you are looking to buy or hire, NT Link can provide you with a range of buildings and services suited to meet your specific needs. Whether you are looking to buy or hire, we have a range of new and second hand buildings available and will work to find a solution to meet your needs. We custom design buildings, building complexes and associated infrastructure to meet the needs of our many customers from different sectors including Construction, Mining & Resources, Education, Health, Government, Commercial and Residential. 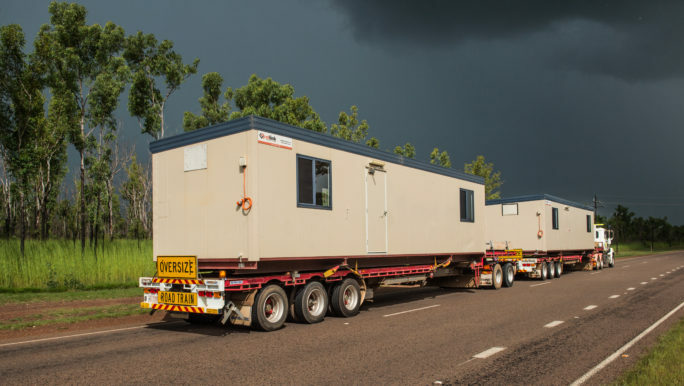 Our large range of transportable and demountable buildings are manufactured to suit the unique requirements of the Northern Territory from the hard desert regions to wet cyclonic areas. We have an extensive fleet of prime movers and trailers for the transportation of buildings throughout Australia. We specialise in remote area and long haulage travel. 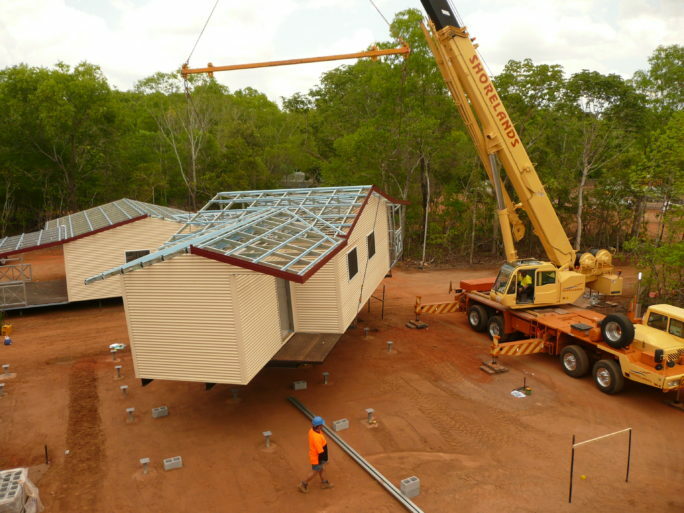 Our installation crews are based in both Darwin and Alice Springs and have a diverse range of skills and experience; with a long history of successful transportable modular installations and associated construction works. 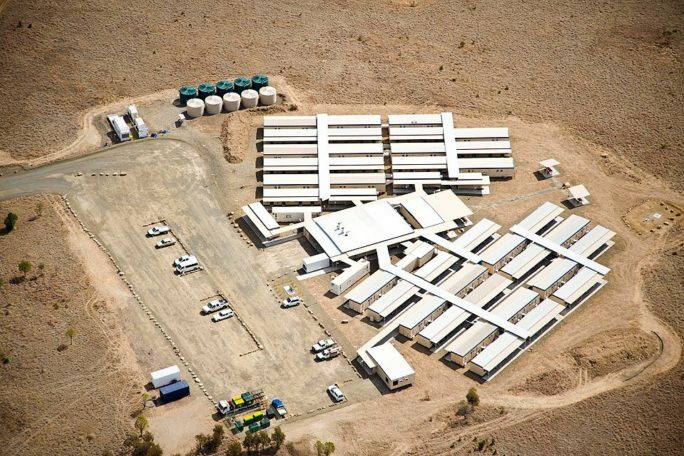 We specialise in turnkey camp solutions providing accommodation, kitchen, dining, recreation and amenities for small to large mining, resource and construction camps.